in a push to create a full-service digital marketing agency. Ansible was also merged into Reprise in most countries, excluding Australia and America, where the mobile agency has a strong presence and its own clients. Reprise is evolving from its heritage in search and social and is now focused on separating creative from content creation and media activation. Speaking to AdNews at Cannes Lions, global chief operations officer and Aussie expat Craig Ellis admitted the network is “at the starting line” but is now raring to go, following its consolidation and restructure. 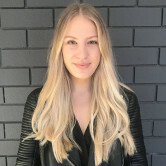 Ellis, who was formerly the CEO of Reprise Media in Sydney between 2011-2015 before relocating to New York, said overhaul of Reprise aims to create a consistent offering across the globe. “We’re in 44 countries around the world and we’ve been focused on building product and developing process that actually enables every marketer to work in the same way,” he said. The new Reprise consists of 2,400 employees globally. In APAC, the agency has around 925 staff in 23 offices across 13 markets. By reshaping its offering, Ellis is confident Reprise can help its clients achieve the same cohesiveness. “What clients want to hear when we enter the room is our opinion on blockchain and how to disrupt the industry but in reality, what they need to fix is global consistency,” he said. While there is still more work to be done, global CEO Tim Ringel, who is approaching two years in the role, tells AdNews the restructure has led to double digit year-on-year growth for Reprise. “We merged the businesses to enable us to go beyond just media activation for our clients and to have more conversations on asset creation and content creation,” Ringel said. Hinting at changes further down the line, Ellis said Reprise is “constantly restructuring”. “Sometimes restructuring can have a reactive connotation, whereas what we are doing within the business is actually being proactive, to prepare for what’s happening in the next three years. “We’ve got things to improve on. We’re not where we need to be or where we want to be yet so we need to invest and work with partners to make sure the quality of what we do is consistent, as well as continuing to ready ourselves for the future. “The next 12 months will be a good test of how well we are going as we start to get more invitations to pitches and be held accountable by our peer group,” he said. The unified Reprise will continue to partner with and support UM and Initiative, as well as cultivate its own client base. As for the next 12 months of Reprise’s journey, Ellis said the network is focused on sustainable growth. “You can go out with a big bash and scream from the rooftops, but if you can’t live up to it, it disappears as quickly as it rose,” he said. “The next 12 months we are focused on finishing strong on targets, new opportunities and ensuring we’ve got the right structure to keep our eye on the future. Why not merge Ansible in Australia? Australia bucked the global trend with Ansible remaining a standalone brand despite being merged into Reprise in most markets. The Australian entity, run by CEO Ross Raeburn, didn’t need to be disrupted, said Ringel. “We’re not disrupting for the sake of disruption. We aren’t bringing this together because we’re in need of efficiency, instead, it’s an opportunity to fill a gap that exists. With Australia, Ansible is a really unique proposition and a strong enterprise,” he said. As for how the Australia business is tracking, Ellis said he keeps a close eye on the market, being his hometown. He said the Sydney and Melbourne offering has been strengthened by the global repositioning. The Sydney office, headed by newly appointed Dr Grace Liu, has made several hires over the last year and is in the process of moving into a new building, directly next door to its Surry Hills HQ. 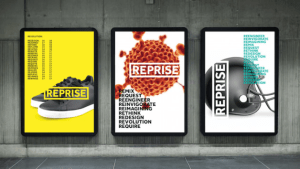 Reprise is pegged as IPG Mediabrands next agency darling and has undergone radical transformation in the last two years, evolving from its heritage in search and social with various specialist agencies being folded into the network and new global leadership put in place. Earlier this year, social agency Society was rolled under the Reprise banner in a push to create a full-service digital marketing agency. Ansible was also merged into Reprise in most countries, excluding Australia and America, where the mobile agency has a strong presence and its own clients.